Oatey products can be found in residential and commercial applications and have achieved excellent brand name recognition with consumers. 1366077 Features: -Sealant. 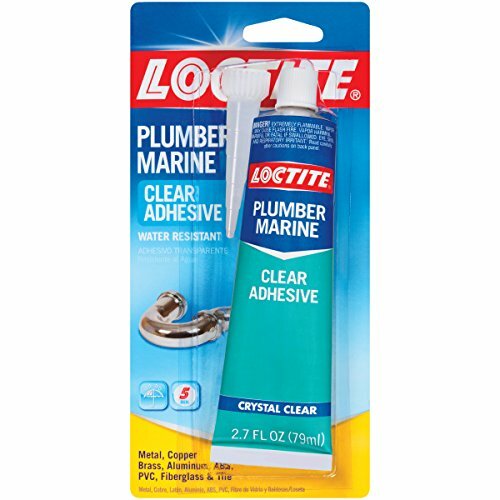 -Ideal for plumbing and marine conditions. -Use to seal leaks around pipe joints, repair cracked porcelain, secure towel bars, repair loosened tile and mend tears in PVC tubing. -Works on aluminum, brick, tile, fiberglass, plastic, porcelain, PVC tubing, rubber, steel and much more. Product Type: -Adhesives. Dimensions: Overall Height - Top to Bottom: -3.81 Inches. Overall Width - Side to Side: -8 Inches. Overall Depth - Front to Back: -1.5 Inches. Overall Product Weight: -0.3 Pounds. 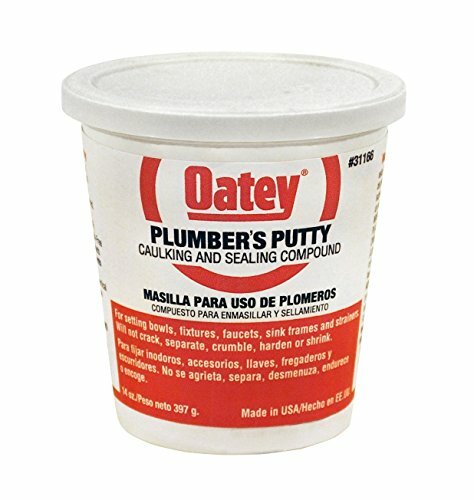 Oatey 14 oz. Plumber's Putty. Fixture setting compound for setting frames, faucets, strainer baskets, etc. Stays flexible, will not crack or shrink. Easily workable, soft, pliable material. Not for use on marble, granite, plastic or any other dimensional stone. Meets Military Spec TTP-1536A. White finish Tub Caulk. Constructed of silicone rubber. Handy 8 ounce hang up tube. Easy to use application. Easy do-it-yourself installation instructions. 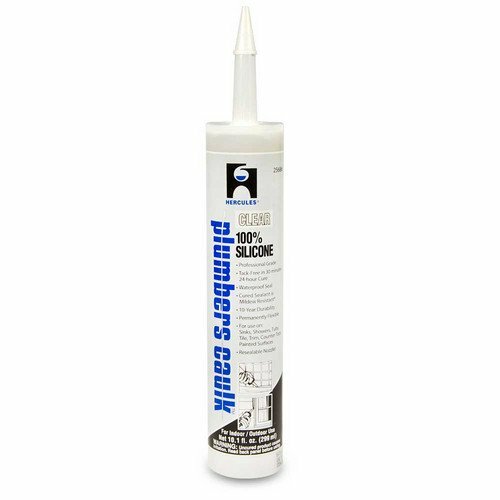 Hercules 100% silicone plumbers caulk is a high-quality professional grade sealant. It has excellent adhesion to most porous and non-porous substrates including wood, glass, porcelain, tile, or grout, metals, most plastics and many other materials. It provides a flexible, durable, and UV resistant seal that is waterproof and water tight. Flows easily from the resealable tube or cartridge, tools easily, is tack-free in 30 minutes and completely cured in 24 hours. Durable to last ten years. Working temperature ranges from -75¡ãF to 450¡ãF. Hercules 100% silicone plumbers caulk will not crack or crumble, doesn't shrink and is mildew resistant.